It may feel like winter still in large portions of the country, but spring has sprung at Epcot and the 2018 International Flower & Garden Festival starts today. Over the past several years food has become an additional focal point of the festival offerings, with some fan favorite items remaining from year to year and new items being refreshed annually. As the festival kicks-off today, let’s head on over to the Pineapple Promenade and take a bite, and a sip, out of a pair of returning favorites. We’ll start with a little heat in the form of the Spicy Hot Dog with Pineapple Chutney and Plantain Chips. The name kind of says it all, but there is more to this souped-up hot dog than meets the eye. 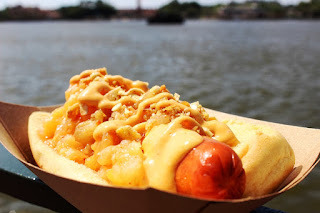 For starters, yes, it is your typical Walt Disney World hot dog. It has a good flavor and a good snap, but isn’t necessarily anything to write home about. The bun seemed to have a bit of a sweetness to it, but that may have been from soaking in the pineapple chutney juice. In case the description wasn’t clear, this isn’t your typical mustard and relish hot dog. The aioli used has a subtle heat to it, but there was a lot of it on the hot dog. If you’re not a fan of mayonnaise-based condiments, then this could be a deal breaker for you. Living up to the name of its outdoor kitchen, however, the pineapple chutney on this hot dog has a lot of pineapple to work with. The sweet and sour flavors of the pineapple worked well to mute the heat of the aioli, while not making this a one note hot dog. Lastly, the plantain chips added a nice crunch that varied up the textures, but I would have preferred a handful of full plantain chips on the side. 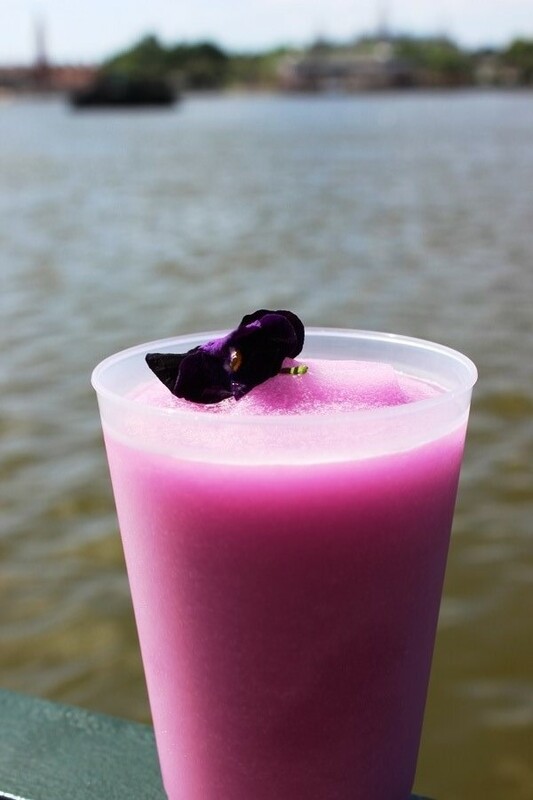 Moving on to our beverage component, we loved the Frozen Desert Violet Lemonade, which has absolutely nothing to do with pineapple, but we don’t care! 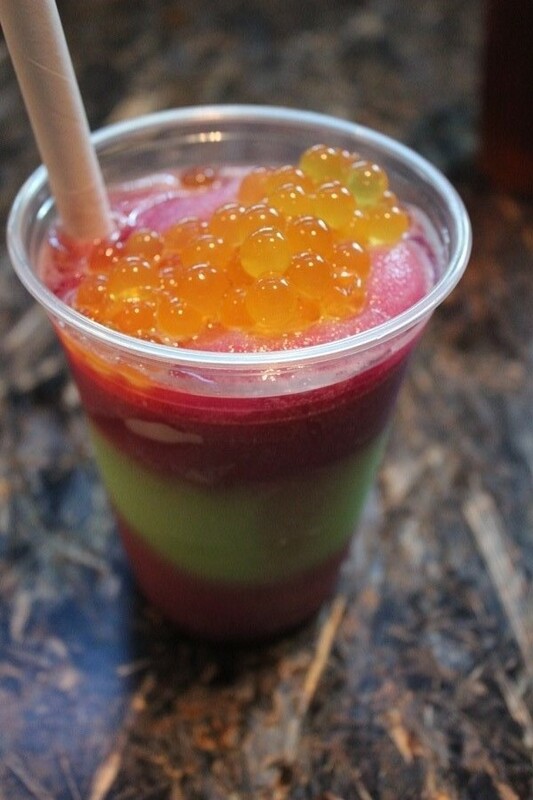 This lavender colored frozen slush, like most of the slushes around Walt Disney World, is very sweet. It also has a tart factor that makes it play with various parts of your palate. This may not be very novel anymore, but it is still tasty and refreshing when the combination of Florida heat and World Showcase’s promenade has beaten you down. It also comes with an edible flower, which is sure to get a giggle out of your little ones. Pineapple Promenade may not have the most inventive food offerings at the Epcot International Flower & Garden Festival, but they do bring a fun element to the festivities. The festival offers and entire range of fresh food items just waiting for you to sample, and I highly recommend sampling as much as you can, but whether you’re looking for sweet or savory, just remember to have fun! And if you’ve forgotten how to do that after looking at gardens and topiaries all day, the Pineapple Promenade seems to have the recipe to help you remember. 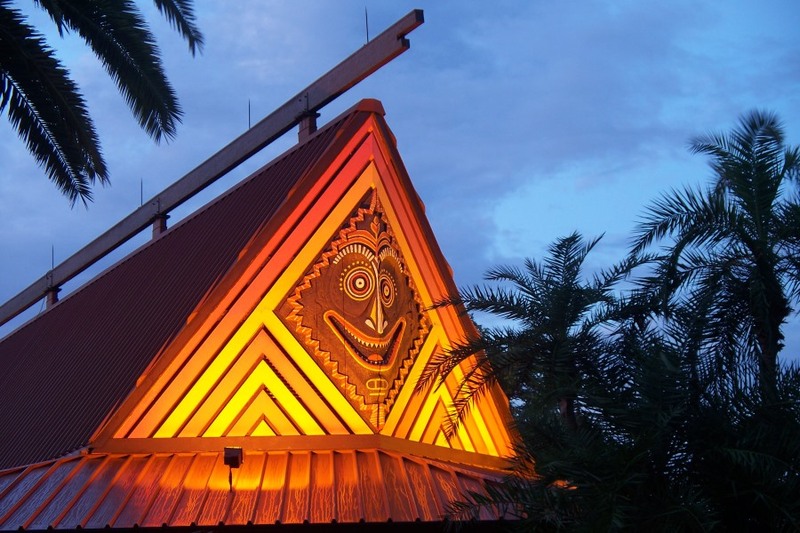 The additions of characters from known films or franchises into the notoriously character devoid Epcot has been something of a sticking point for some longtime guests. Aside from Figment, who gets a pass as he and Dreamfinder were created specifically for Epcot, the slow introduction of characters from The Lion King, Finding Nemo, and Frozen, to name a few, has gotten under the skin of a vocal set of guests. Of course, Epcot has kept these character introductions to Disney properties and would never fling open the gates of character meet and greets, much less an attraction, to characters that have no solid connection to the wonderful world of Disney. Would they? Beginning in November of 1993 guests could meet up with the Ambassador of Friendship, known to the rest of the world as Barbie, at the American Gardens Theatre in Epcot ’94. There are multiple awful choices that were made in that sentence, but let’s carry on with just Barbie for the moment. Barbie, and Ken, would arrive in a pink limousine to meet guests, take pictures, and sign autographs. This was, in fact, the same LiMOUSEine that Mickey utilized to promote the opening of Disney-MGM Studios, and that would later be called back into service for the 25th anniversary of Walt Disney World. Barbie stopping by to see guests may seem innocuous enough, but they were set-up near the American Gardens Theatre, which probably means there was a show, doesn’t it? In fact, the entire theatre was outfitted for a special show from November of 1993 until May of 1995 to present The Magical World of Barbie. The show featured approximately 20 actors pretending to be dolls interacting with the various playsets from other countries. Barbie, the Ambassador of Friendship, was given this title due to the fact that she had represented and become a part of so many cultures over the years. The show would venture through Europe, making stops in places like Italy, Russia, and France, Africa, and even Australia. Would it surprise you to know that the show used this stop to make a ‘shrimp on the Barbie’ joke? 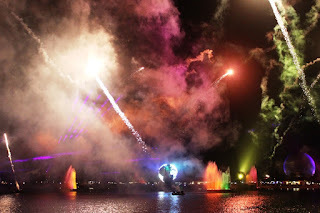 The show featured a pyrotechnic and dove release finally, along with tricks performed by in-line skaters, trampoline artists, and skateboarders. The promotion for this show was not limited to Walt Disney World alone, however. Mattel packaged specialty marked Barbie dolls with a video celebrating Barbie’s birthday at Walt Disney World. The title is ridiculously long, Barbie Birthday Part at Walt Disney World Epcot ’94. During the movie, with a runtime of about 30 minutes, Barbie, Stephanie, and Lisa make their way around World Showcase celebrating Barbie’s birthday. It heavily promoted the Barbie Cellular Phone and the show coming to Epcot ’94. 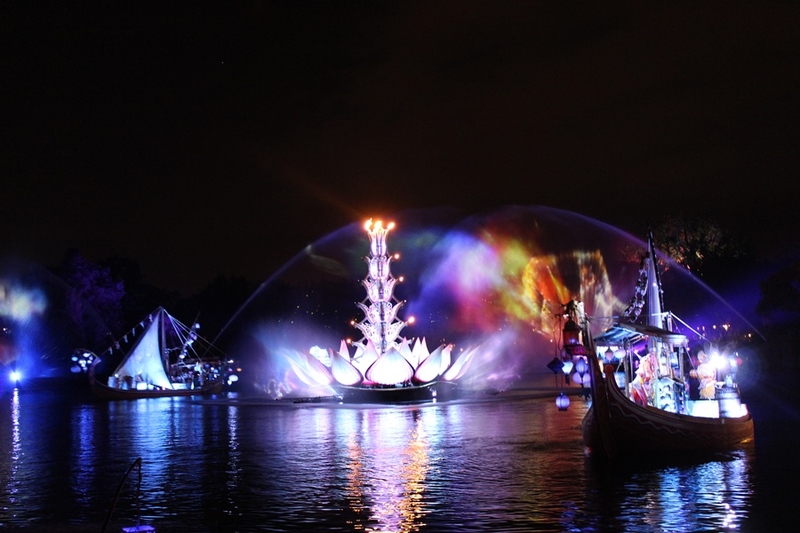 The latter allowed viewers to get a behind the scenes look at the show being created for the park. The Magical World of Barbie only ran five days a week, due mostly to the fact that only one woman was allowed to play Barbie, Miss Oregon Elizabeth Simmons, in order to maintain consistency for guest interactions. While the show was beloved by some guests, particularly younger guests, at the time, it was universally loathed by cast, crew, and Disney powers that be at the time. It isn’t hard to imagine that they were all thrilled when the show closed in November of 1995. 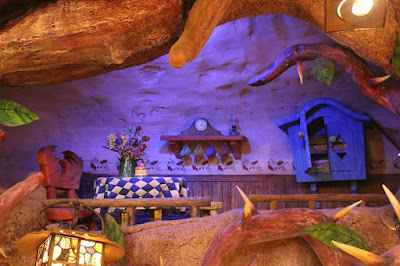 Characters of one sort or another have always been critical to the Disney theme park experience. While Epcot has more or less shied away from the concept for a large portion of the time it has been open, some still occasionally slip through. I would much prefer a well thought out plan for character introduction through attractions and meet and greets, even if they seem slightly out of place, than have woefully out of place characters from non-Disney properties pop in sporadically. I’m looking at you, Barbie! 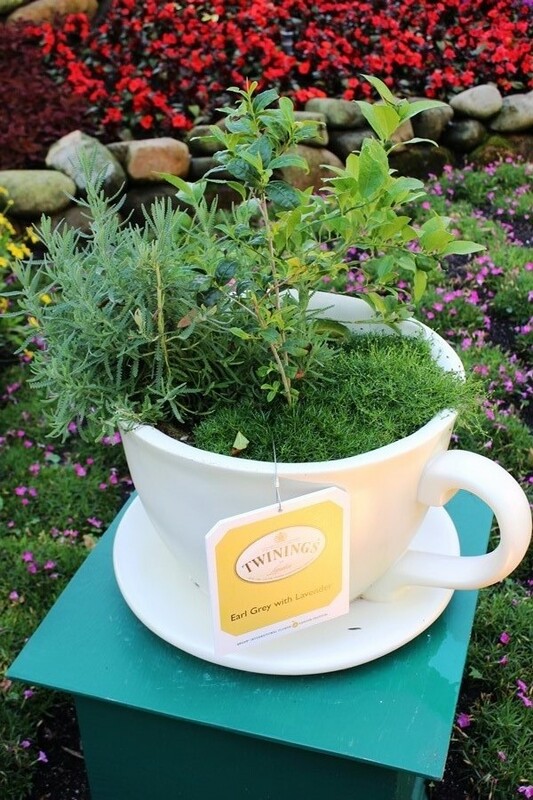 Last year the Epcot International Flower and Garden Festival added a new tour to the repertoire of events taking place during the festival, the Royal Tea Garden Tour. 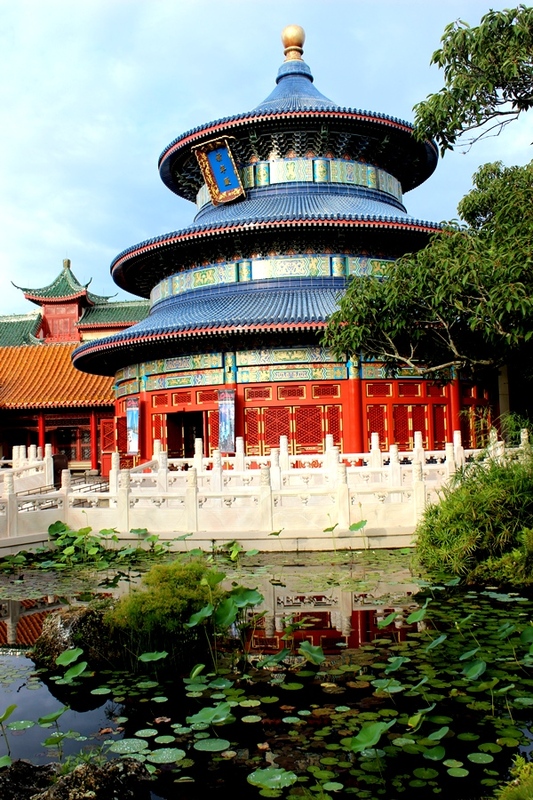 While there had been a tea garden tour available on select days for several years, this addition, which comes with a fee, doubled the amount of tour time, provided guests with the opportunity to ensure their spot ahead of time, and provided food and beverages. The Royal Tea Garden Tour proved so successful that it has returned to this year’s festival. It proved to be one of my favorite experiences during the festival last year, and I’m hopeful that the minor hiccups have been smoothed out this year. With this year's festival a little more than one week away, let’s take our own tour of the tour and give you an idea of what you’re in for should you decide to partake in this experience. For starters, the tour starts in the early morning before World Showcase is open. Now, if you are aware of how World Showcase actually works, you’ll know that guests are permitted to walk through the UK pavilion at park opening as it sits along the walkway to International Gateway. However, it is still rather quiet at this time, with other guests not wandering amongst the tour group causing distractions. The tour itself meanders along the garden path behind The Tea Caddy exploring the various tea producing plants that make up the garden. The tour is presented by a Twinings of London representative that is well-versed in the history, craftsmanship, and flavor profiles of all things tea. Black, green, herbal, and white teas, how they are processed and created, are all covered in this tour. In fact, the tour even goes into the history of how tea came to be in bags rather than loose. There is a lot to cover in only a 45 minute tour, but you’ll be amazed at how much you’ll learn. As an avid tea drinker, coffee and I aren’t friends, I can credit this tour with turning me on to two of my favorite teas: Earl Grey with Lavender and Buttermint. Aside from Christmastime, these two teas have become my morning and afternoon staples, and it is all thanks to what I learned and sampled on the Royal Tea Garden Tour. Speaking of samples, the tour may last less than one hour, but you’ll definitely want to make sure you’ve given yourself enough time for the snacks that are available at the end. 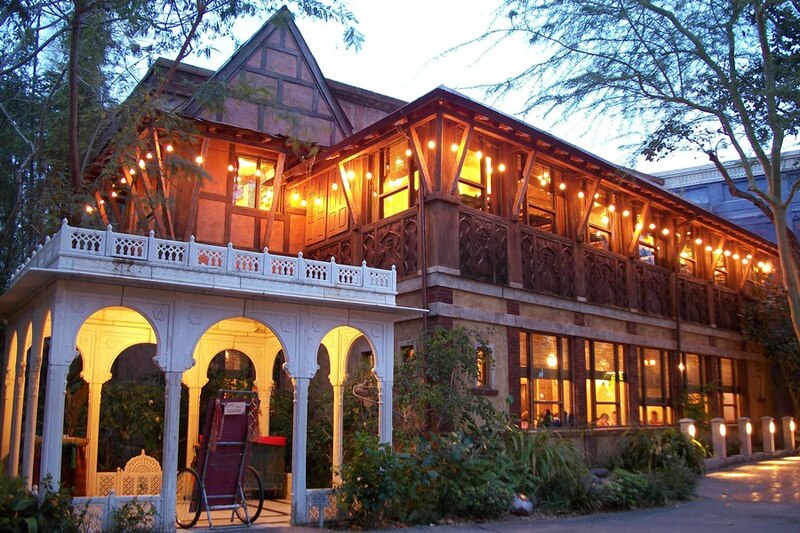 For starters, you can choose from a variety of flavors for your own hot cup of tea. Paired with this cup are traditional English scones. The scones come in a pair and feature a savory Irish cheddar scone and a sweet scone with raisins. The little snack boxes also come with two accompaniments, clotted cream with jam and an earl grey butter. This year’s set-up for the food seems to have taken into account the crowding issue that seemed a regular occurrence last year when participating guests had to make their way through The Tea Caddy to collect their to-go boxes and tea, all of which was arranged in one of the smaller rooms of the shop. This year, the tea and scones will be served in the Rose & Crown Dining Room, which feels like a well thought out shift in location. The only other concern I have from the first version of the Royal Tea Garden Tour was the ability to hear the presenter. Guests were constantly jostling to get closer to our guide as the ambient sounds of the park and distance from the guide all led to participants regularly asking for sections to be repeated or grumblings about not being able to hear. Many tours at Walt Disney World utilize earpieces to ensure everyone has the same experience, and I hope this change is considered for this year’s version of the tour. It is hard to argue with those who are fine with the free tours provided during the Epcot International Flower and Garden Festival. The addition of more time isn’t much of a selling point, nor is the fact that the tour happens during one of the quieter times of the day. I also can’t say that the cup of tea and pair of scones are, on their own, worth the $18.00 cost of the tour. However, when taken as a whole, I think there is a definite value being provided by the Royal Tea Garden Tour. Not feeling rushed, being able to ask all the questions I care to, actually going through much of the history and process of tea making, and having tea and scones at the end, all make this a truly worthwhile excursion in my book and definitely something I will be looking to take part in again this year. Transportation has always been a cornerstone of the Disney experience, and I’m not just talking about theme parks. Walt and his team looked to the future for family transportation and space travel, while also reintroducing a generation to steamboats and keelboats through various productions. Inside Disneyland, and later Walt Disney World, cutting edge transportation models were utilized alongside paddlewheels. For Walt Disney, who always wanted to keep sight of our collective pasts, presents, and futures, there was one mode of transportation that stood tall above all the rest in his eyes, the steam locomotive. Not only did he have his own scale model train, there would also be a train in the Disneyland and the Magic Kingdom. 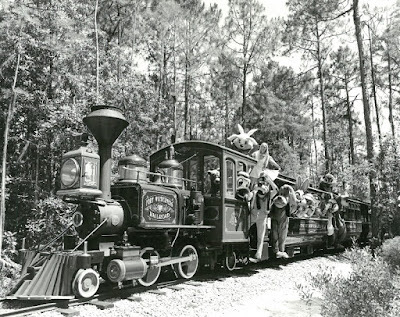 This love of steam trains stretched beyond Walt himself and even beyond the boundaries of the park, showing up, in of all place, the campground of Fort Wilderness. 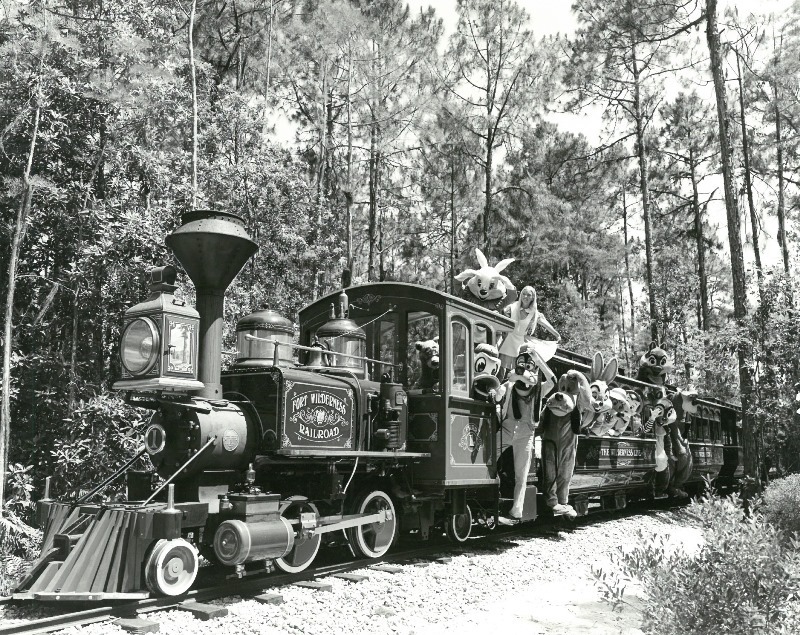 Most of us have, at one time or another, heard about the Fort Wilderness Railroad, the plantation locomotives that ran regularly from 1973-1977, before going to a seasonal rotation and closing permanently in the early 1980s. We’ve seen the posters for Fort Wilderness that put the train front and center and we’ve ogled the vintage maps that have it running around the periphery of the campground. In fact, the loop that the steam train ran on was 3.5 miles, double the length of the Magic Kingdom’s track. The four trains could each hold 90 passengers, but often ran out of steam due to their smaller water reservoirs and fuel tanks, causing delays and back-ups along the route. The train’s whistle could be heard as early as 7:00am, which I’m sure riled up some campers who would rather have slept in. Aside from the water and fueling problem, and the waking up guests problem, the track itself was an issue. The clay and soft dirt allowed the rails to move more than they should, not to mention the fact that the rails themselves had not been placed and curved through best practices at the time. This meant that trains could not only be relied upon to breakdown, but they could also become derailed very easily. At least they were consistent. All of these maintenance and customer service issues eventually led to the trains being abandoned. That said, if you look at the photo above, it looks as if the characters loved the locomotives at some point in time. Nowadays it is almost impossible to find remnants of the Fort Wilderness Railroad throughout the campground. The rails and spikes have vanished, but sometimes you can see the raised beds that the train used to run on. Thinking back on my earliest years at Fort Wilderness I can still remember seeing the railroad crossings just beyond the outpost gates. I can remember crossing over them and straining to see if I could spot a train that was never coming. I’m almost certain I asked my parents about it and they didn’t know what the tracks were for by that point, and it was never important enough to inquire to Cast Members about it. But it was those small moments of wonder that almost certainly led me to my fascination with the Fort Wilderness Railroad, and steam trains as a whole. I’m not foolish enough to believe that they trains could be utilized in the campground again today, but what I wouldn’t give to have been able to ride the rails aboard that train just once. Last night there was a lot of news focused on new attractions and experiences coming to parks and resorts around the globe last night at the D23 Expo Japan. While last year’s Expo was the main hub of announcements for Walt Disney World, and no major changes or additions were pronounced last night, there were a few other details that we’re released about previously known projects. From luxury Star Wars resorts to Mickey, Minnie, and Goofy’s runaway train there was enough to keep even the most casual observer interested. The one highlight that really caught my attention, however, was the Guardians of the Galaxy attraction coming to Epcot. There were a couple of pieces in the announcement that caught my eye. For starters, yes, it is going to be one of the largest enclosed rollercoasters in the world. Not breaking any records, but I dare say we can expect something longer and more involved than either Space Mountain or Rock ‘N’ Rollercoaster Starring Aerosmith. Plans had already seemed as if the attraction would burst out of its current footprint and, possibly, into the area of the Imagine parking lot. Armed with what we learned last night, that prospect is almost a foregone conclusion at this point. The second bit of information to catch my attention was the fact that it is slated to be open by Walt Disney World’s fiftieth anniversary in 2021. That means that they are taking their time to get this right and not rushing to shove a Marvel property, one of the only ones that Disney can utilize on this side of the Mississippi River, into a park as quickly as they can. Considering that Universe of Energy has already been closed for six months and that we’re looking at another three to three and a half years before the out of this world attraction is unveiled, there is definitely an element of caution and precision that is being exercised with this new experience. This leads me straight into the third tidbit I caught for the Guardians of the Galaxy attraction, and that is that the story is currently being developed by Walt Disney Imagineering. In other words, the story hasn’t been fully fleshed out yet. This begs the question, which version of the Guardians are we going to ride along with in the attraction? The team has already changed between the first two films, and with a third installment on the schedule for 2020, I suspect that will be the line-up we see when we blast off from Epcot in 2021. In terms of story development, it is also worth noting that just across the way, Epcot already has an attraction that features space flight, so this will have to be something different. Also, I think many of us assumed erroneously that Epcot would keep the theme of energy at the core of the new attraction. There are many universal themes that could be utilized with the Guardians, and a spaceflight mission to find or save an energy source feels too much like an amped-up version of Buzz Lightyear’s Space Ranger Spin. I would love to see a thematic element that has either been missing from Epcot for some time, or one never fully embraced by the park, to be integrated into this new Guardians story. At this point in the Guardians of the Galaxy attraction’s development, almost everything is speculation, while even points that have been announced are subject to being completely changed. At this moment we have a general idea of the who, the Guardians, the what, an enclosed rollercoaster, the where, former Universe of Energy area, and a when, 2021. For those trying to gleam the how, how it will work and how guests will embrace it, we’ll just have to wait in see. As for the why, Thomas Smith put it right up front in the announcement article on the Disney Parks Blog when he stated, “The ‘Guardians of the Galaxy’-inspired coaster is part of our ongoing work to transform Epcot into a place that’s more family, more relevant, more timeless and more Disney.” Meaning, this is still only the tip of what is to come from the Epcot revitalization iceberg. If I have learned anything on my visits to Pandora, it is that the people of Earth must have really missed cream cheese when they ventured out amongst the stars. 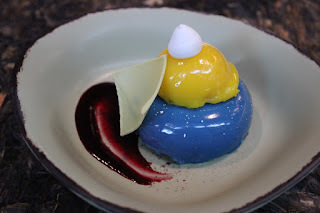 It is featured in desserts at both Satu’li Canteen and at Pongu Pongu. The only other conclusion I could come to is that it was easy to transport, but I’ve seen how much space those little tubs take up in my grocery cart, so I’m sticking with my theory of the rich, delicious spread just being missed by humans far away from home. Plus it is very versatile, as the two desserts show. Let’s start with the more upscale usage of cream cheese at Satu’li Canteen, with the fairly spot on name of Blueberry Cream Cheese Mousse, with further description adding that it also has passion fruit curd. The sweet and tart elements here are wonderful, with neither overpowering the other. Although, there is more blueberry to go around that passion fruit curd, and we definitely wouldn’t mind more passion fruit curd. The unique preparation of this sweet mountain makes the mousse a light dessert, while the portion size and presentation will leave you wanting more. Plus, it is just amazingly beautiful inside and out! It is also worth mention that between the natural blueberry dyes and blue food coloring in this treat, you or your tongue may end up looking a bit like Violet Beauregarde for a while. 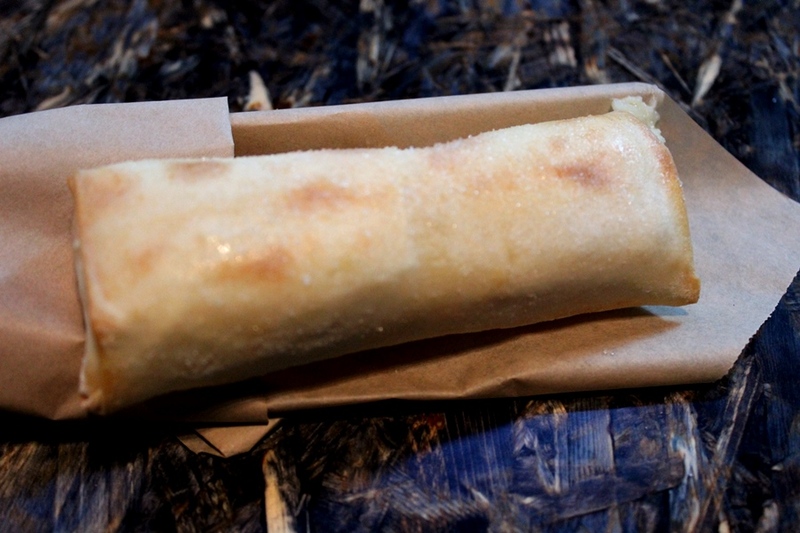 Next up, we step outside to Pongu Pongu to sample the Pongu Lumpia. Lumpia is traditionally a spring roll with an incredibly thin pastry wrapper that is filled with vegetables and proteins in a variety of savory combinations. It can be fried or served fresh. On Pandora, however, they’ve transported this type of dishes up to the dessert menu and filled it with pineapple cream cheese. A slight crunch, a little chewy, and a sweet and creamy center that will find its way out of any crack in the roll make this a fine, if messy, snack to grab while you’re on the move. Let’s add one treat in, and this time let’s assume that you don’t love cream cheese like the expats of Pandora do, but that you do like to drink your desserts. It would also help if you like very, very sweet desserts. I’m speaking, of course, of Pongu Pongu’s Night Blossom. This non-alcoholic drink is reminiscent of the wondrous bioluminescence found throughout Pandora in the evening hours. Bands of fuchsia and lime green are topped with tangerine-colored pearls. The actual flavors are maybe not what you expect from a frozen drink. The boba balls are passion fruit flavored, and are just as fun to play with as you think they’d be. The main sections of this drink are simply apple and desert pear, both of which would be mild, if the drink weren’t so puckeringly sweet. It’s a playful dessert, but when it comes to Pandora, I prefer my sweets with cream cheese. There is a lot to discover in Pandora, and that doesn’t stop at the trail’s end, the food of Pongu Pongu and Satu'li Canteen is just as much a part of the story as everything else in the newest land of Disney’s Animal Kingdom. Some it may look or sound a bit strange, but everything is worth trying at least once. Especially, if like the human residents of Pandora, you happen to have a hankering for cream cheese.